We are excited to offer participants of the Institute, an exclusive on-campus block in one of our new residence halls. For just $35 a night, you will have a shared suite, just steps from the Jacobs Science Building, where the Institute will be held. These are not your typical dorms, and there is no better place to stay during your time here. 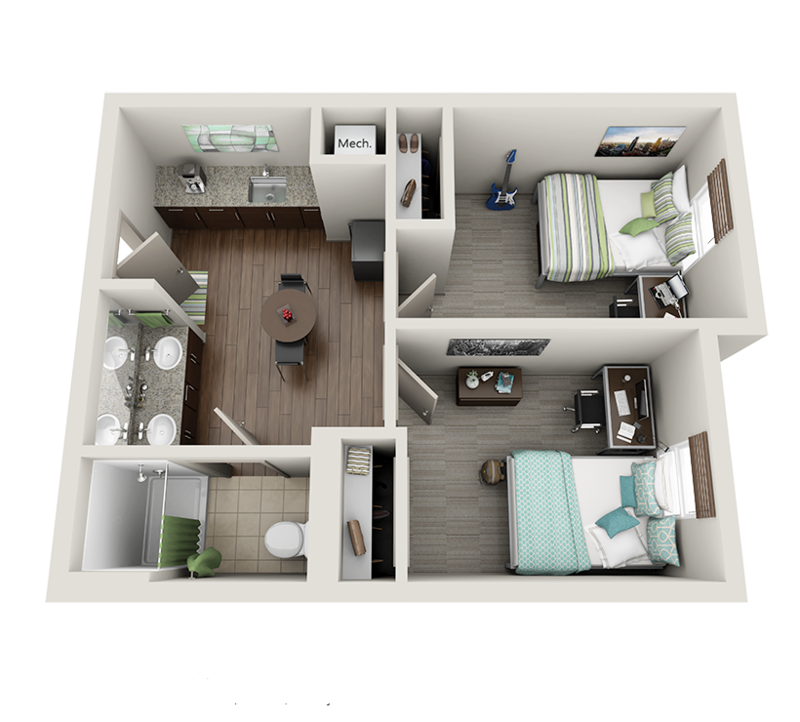 The on-campus residence halls have central air conditioning, shared kitchen space, meeting rooms and laundry facilities. It's the place to be! CLICK HERE to request Campus Housing during your stay!